Get Ready for BIRTHFIT GR 2019! The BIRTHFIT Grand Rapids website is updated and ready to start taking registrations. I already have several people ready to go for the January postpartum class, so if you want to dive in, please register ASAP! I will be capping these classes to 10 clients to ensure attention and quality is provided to everyone! You may be able to use your HSA or Flex Spending Card to pay for your classes. Some insurances may also reimburse you if you submit your receipt. Intended for women (and their partners) who are pregnant, preferably to be started before the third trimester in order to fully apply the information and prepare for birth and postpartum! This series meets once per week for four weeks. Each session is 2 hours long. // Understand and apply intentional and safe exercise for the Motherhood Transition based on your own developmental kinesiology. // Build a Postpartum Plan and learn how to take care of yourself during the postpartum period. Too often I hear that women are not told this information. It is not because your care provider doesn't care, but they simply may not have the time or the education to provide it. Their job to to ensure the safety of mom and baby during pregnancy, labor, and delivery. You could be months or years postpartum, but never felt that you gained the proper knowledge to rebuild your body post baby. This series meets twice per week for four weeks. Each session is 75 minutes long. Before the series starts, women are encouraged to take a Postpartum Series Workshop to ensure they are ready to begin the Postpartum Series. 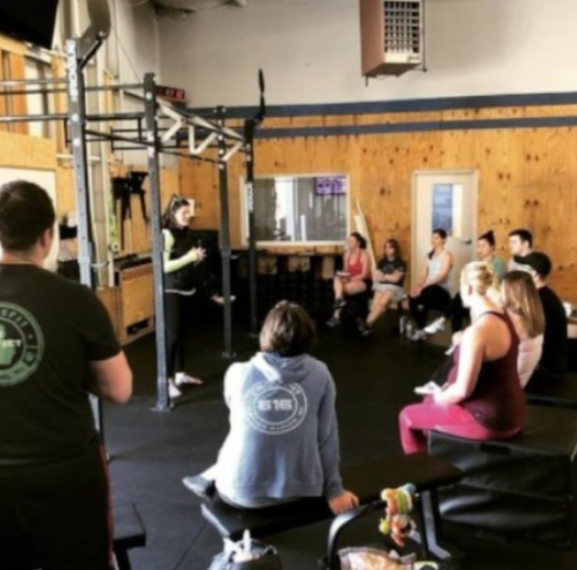 // Build the strength of your core and pelvic floor through enhancing your own developmental kinesiology during fun and challenging exercise programming. // Hear from a pelvic floor PT who can answer your questions about why and when to seek more treatment for your concerns. // Be a part of a tribe of women going through the same transition that you are! Most women do not know where to start when it comes to returning to exercise. This often can be paralyzing so that they do not return to exercise and end up having pelvic floor dysfunction or other issues related to lack of strength and stability in their body. Postpartum is more than exercise - it is also about nourishment through nutrition and connection to other women who understand and can support this time in your life! Over the last year, I have had trainers or fitness studio owners as well as other professionals (midwives, doulas, OBs) reach out to tell me that want to learn more about how to safely train or work with their pregnant or postpartum clients using the BIRTHFIT approach. I am thinking about hosting a couple of 4 hour Saturday workshops at Crossfit 616. If this is something you are interested in attending or have someone you know who may be interested in attending, please have them reach out! 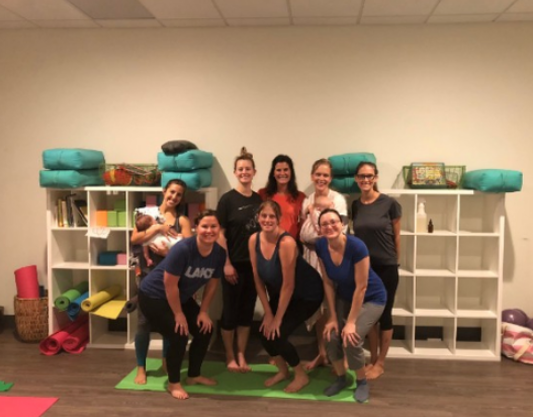 As was suggested at the end of a Postpartum Series, I would also like to get a reoccurring meet up group going for all of those who have gone through a BIRTHFIT Grand Rapids class! Stay tuned. Those dates will be released at another time. THANKS FOR BEING A PART OF BIRTHFIT GRAND RAPIDS 2018!